The first thing that went wrong was my pack being flung to the floor of the backseat as we bumped our way down the lumpy dirt road to the trail head. When we stopped, I discovered that the screw-in cap to the Camelbak had been a hair short of closed, and every icy cold drop had drained out. This would not have been a problem if my husband had packed the water filter–but he hadn’t. Thankfully, I had put a jar of home-brewed ice tea in the cooler for an after-hike treat. I loaded all 28 oz of it into my Camelbak, and my husband had 32 oz of water of his own. Somehow, over the course of the close to 8 mile hike, I managed to sustain myself with small sips of the raspberry ice tea. The abundance of wildflowers distracted me: monkshood, elephant head, chiming bells, paintbrush, columbines–just a few of the blooms we saw filling the meadows. We set a goal of doing 1,000 hikes together when we got married. Yesterday’s was 1,156. Arriving at the familiar trail head, we noticed a sign that said the upper bridge on the trail we planned to hike was closed. We knew this could be a problem, so we opted for the adventurous route: veer off the main trail at the bottom and go straight up on the side of the creek that would ultimately intersect with the upper trail, without needing the bridge. This may sound simple in words. In reality, though, we were on a steep route that took us straight up 800′ and ran close to the forceful creek which tumbled vehemently down. At the same time, we navigated fallen dead trees, limbs and overgrowth which made it trickier than a well-worn trail. My husband and I have been hiking together since 1978. Approaching our destination this way got us both stoked and when we did reach the main trail (and could see the broken bridge over the wide, raging river), for a few moments, we felt young again! We went to the lake as planned, hiking a total of 8 miles, with a 2,300′ elevation gain. Reading Kitchen by Banana Yoshimoto. An icy wind tugged at our hats. On occasion, it sounded like an engine starting. The first mile of the trail was set and hard packed. After that, we veered uphill, cutting our own track. Periodically, we would sink into a hole masked by the snow. It was like a march, lifting our legs up higher than normal walking. At one point, John lifted his hand for me to stop and pointed below a bush. There were white mounds that looked like puffs of snow. Then I saw the black beaks and eyes. They were the most beautiful snow ptarmigans I’ve ever seen. As we gradually pressed on, they lifted off in flight. Finally, we got to the place where we could see around the bend. The rocky walls and peaks had that laced effect that early snowfall brings. 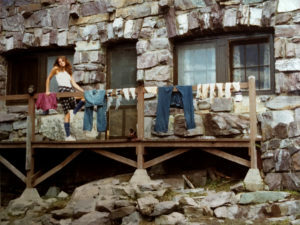 Sperry Chalet, Glacier National Park, was recently destroyed by fire. 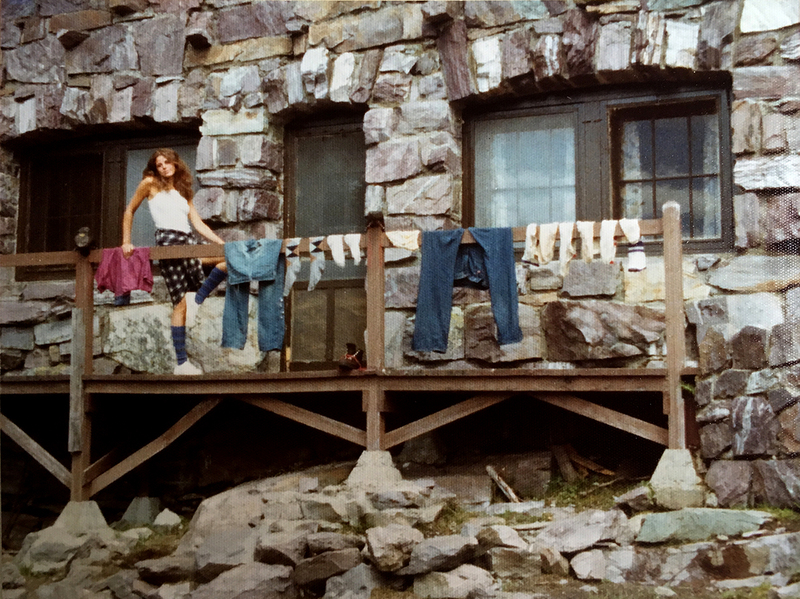 In memory, I am posting this photo from my trip there in 1976, after having climbed to Sperry Glacier and subsequently descending a steep snowfield on my bottom which resulted in the wet clothes hanging on the railing to dry. The Chalet was built in 1913. Went on my first hike yesterday since injuring my knee 6/17. Delighted to see many of my favorite wildflowers still in bloom: elephantella, paintbrush, columbines, Parry’s primrose and asters. 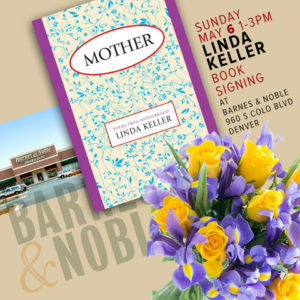 The beauty was heightened by my absence and it was a completely joyous day! Blissful lawn concert on June 9 at the Clyfford Still Museum with Covenhoven. Today is the four year anniversary of my mom’s death. 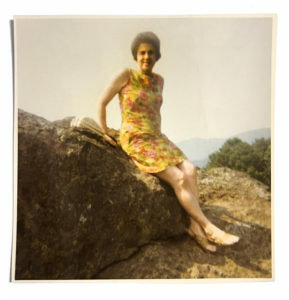 This photo of her was taken in 1970, when she was 49. Wish I was sitting at her dining room table right now, scooping a serving spoon into a bowl of her tomato sauce and meatballs. 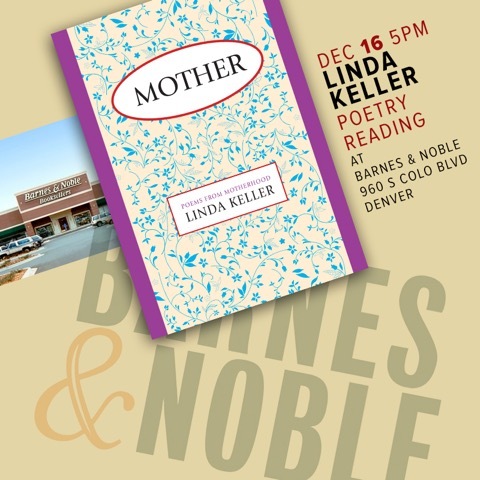 Reading at Barnes and Noble on December 16!